March 20, 2018 — A recent study “The Artificial Sweetener Splenda Promotes Gut Proteobacteria, Dysbiosis, and Myeloperoxidase Reactivity in Crohn’s Disease–Like Ileitis” was published the March 2018 issue of Inflammatory Bowel Diseases. Splenda®, a low-calorie sweetener is a mixture of sucralose, a non-caloric sweetener, and maltodextrin, which provides texture and volume. Sucralose has been reviewed and determined to be safe by regulatory authorities around the world, and has been approved for use in the US since 1998. Scientific experts also support the role of sucralose in weight management. Maltodextrin is a nutritive polysaccharide, derived from corn, and affirmed as “generally recognized as safe” (GRAS) by the US Food and Drug Administration. This study compared how exposure to a sucralose and maltodextrin blend in mice who were prone to developing a condition resembling Crohn’s disease in humans compared to exposure in mice considered healthy. Exposure was provided through the animals’ drinking water. Contrary to a press release by Case Western Reserve University, the study does not show that sucralose can worsen gut inflammation in mice with Crohn’s-like disease. What the study did show is an increase in proteobacteria in the stool of mice with the Crohn’s-like condition. Proteobacteria is involved in the digestion of maltodextrin, so this finding is not surprising. The clinical significance of the findings regarding exposure to either sucralose or maltodextrin based on this study is unknown for animals and humans. Low-calorie sweeteners continue to be a safe tool in helping to reduce caloric intake and manage weight and type 2 diabetes. This study offers support to the benefits of low-calorie sweeteners by showing a reduction in weight and no impact on glucose in the mice that consumed sucralose. 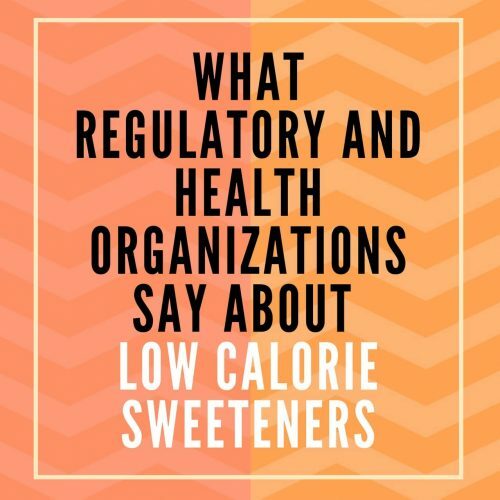 Learn more about sucralose at www.sucralose.org and about global health authorities that support the use of low-calories sweeteners here.